Be with your beloved now and forever. Make her fall in love with you all over again with a beautiful gift she is sure to love. 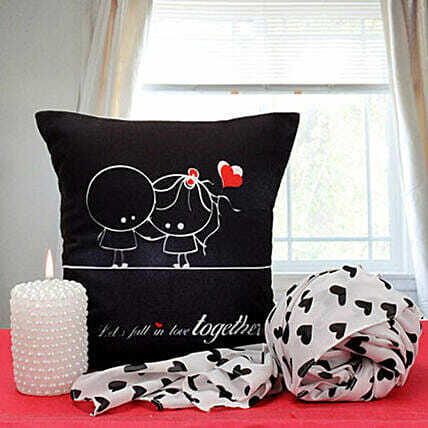 Get a lovely scarf to add to her beauty and cushion and candle to enhance her room. It should be allowed to air dry outside. Iron inside out.